Click Here To See Daredevil #16 Comic Book! 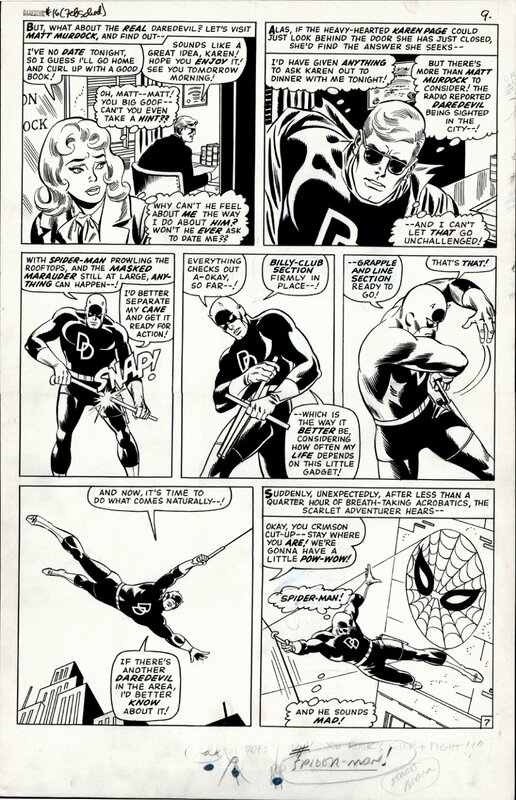 Check out this very nice 1965 SILVER AGE LARGE ART MARVEL page, which was penciled by the great John Romita, and inked by the great Frank Giacoia, from the story titled: "Enter... Spider-Man!" Not only was this SUPER KEY SPIDER-MAN cross-over issue chock-full of that great John Romita Sr. art, but it pre-dates his spectacular run on Amazing Spider-Man. 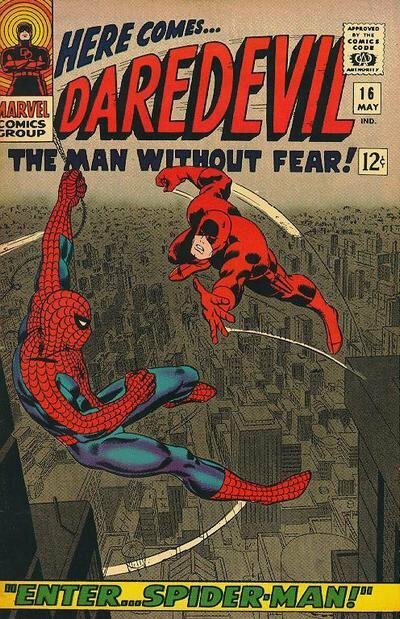 In fact, one reason this is a historic issue is that the Issue #16-17 two-parter was a try-out that lead to John Romita taking over the "AMAZING" Spider-Man book when Steve Ditko left. Although our friendly neighborhood Wallcrawler isn't on this page... his Spider-Signal sure is! SILVER AGE Marvel Super hero pages are VERY hard to find in the hobby these days, so don't miss out on a great opportunity here to own a nice SILVER Age 1960's Marvel superhero page! ALL art on our website (including this one) are able to be purchased with VERY fair time payments, and trades are always considered towards "ANY" art on our website! Just send us an email to mikeburkey@aol.com and we can try to work something out.